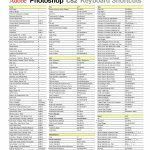 I don’t know about all of you, I could never get used to dedicated keyboards, didn’t help much that I switched between Adobe Photoshop (Photo Editor), Macromedia Dreamweaver (Website Editor) and Adobe Premier (Video Editor). I would have needed a armada of keyboards. By dedicated keyboards I mean those almost rainbow coloured keyboards with short cut keys and macros printed on them. When I moved to Alienware Laptops for mobile editing, I stopped even trying to use the dedicated keyboards and used cheat sheets on copyholder clips which were equally mobile. On a quick side note, The Alienware M18x R1, M18 and M17 laptops have all been fantastic at editing video and photo. If you need a Mobile Editing station, its well worth considering one. The main reason I advocate Dell is for their Warranty and Accidental Damage cover, usually next business day and engineer turns up, so don’t cheap out. 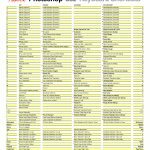 Back on Cheat Sheets, I found various cheat sheets which were hard to read, huge walls of text and some not so. 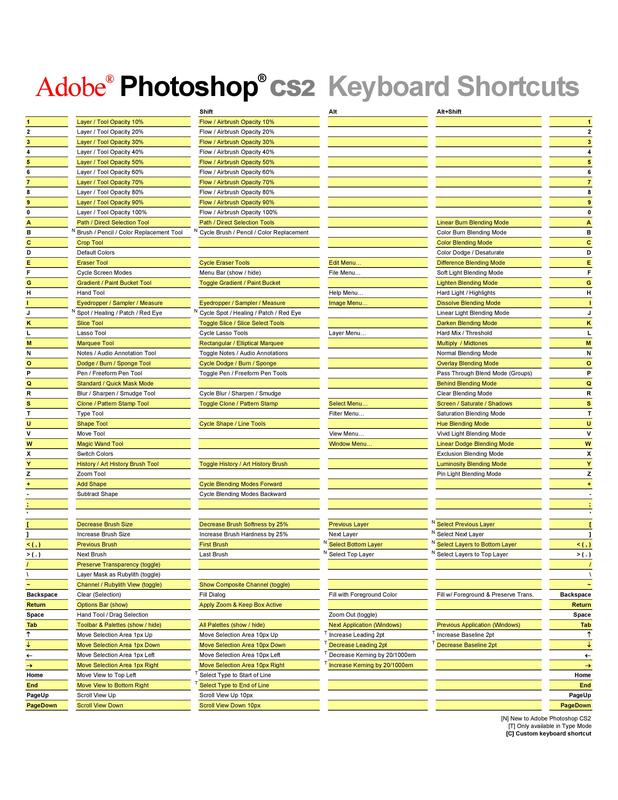 I eventually stumbled on keyboard style layout cheat sheets and saved them. It was way back on CS3 I started this, and this a more up to date kayout for Photoshop CC, but most of them look the same due to Legacy. 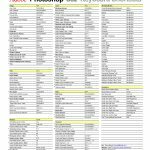 Click it to see the full size version and save it. I’m not sure who made the above graphic, its very good though and suits Apple Photoshop and Windows Photoshop. 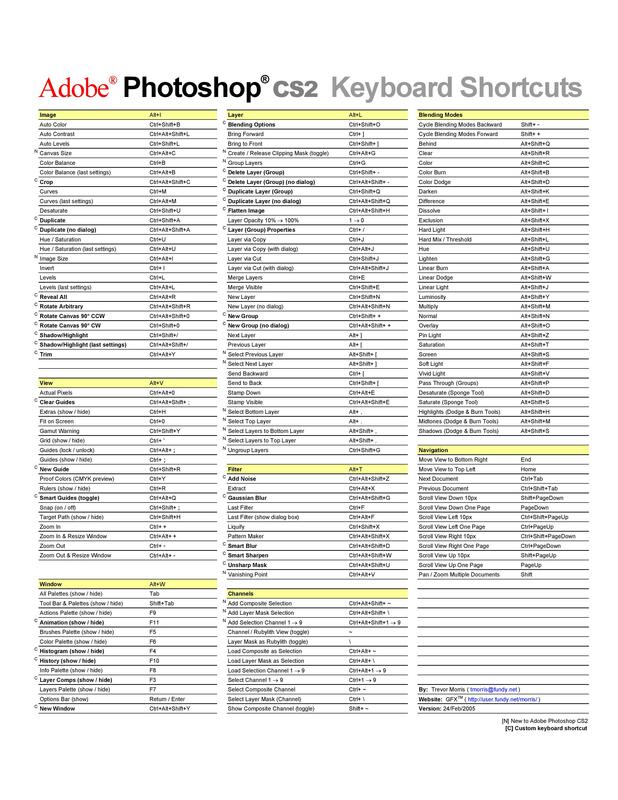 However remember that wall of text style cheat sheet I mentioned. This one seems to be made by Adobe and is very complete. 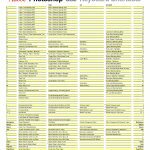 You’ll see what I mean by wall of text when you blow up the lists below. 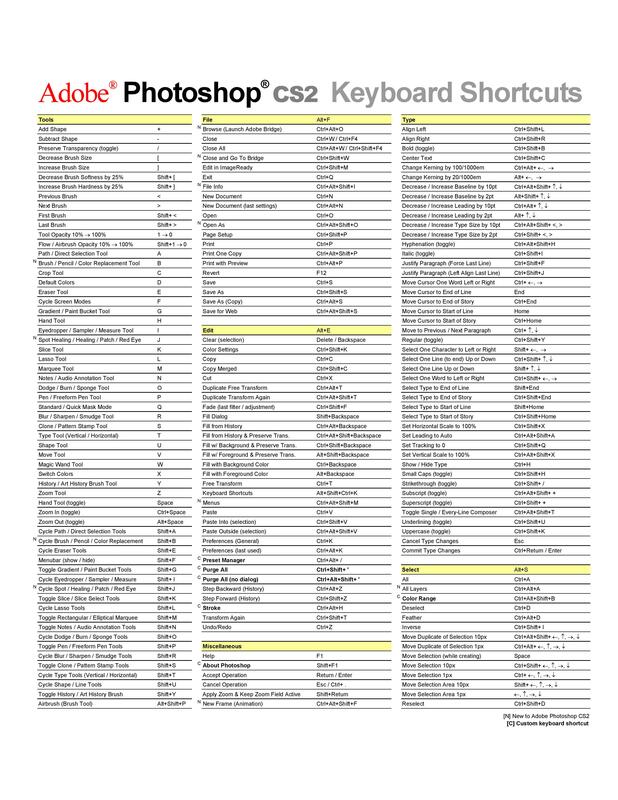 All 4 Walls of Text Shortcuts, click on them and save them. 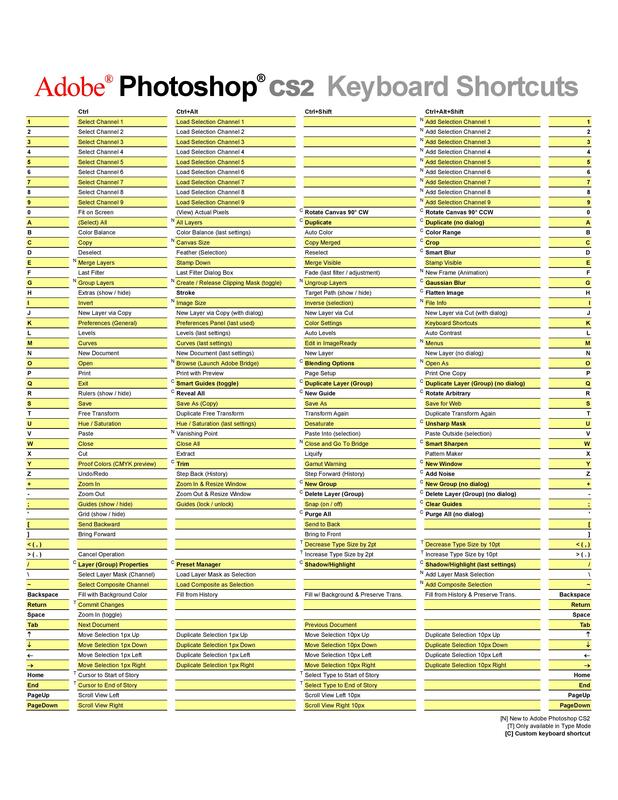 Its worth having a google to see what other cheat sheets there are around, maybe another style will suit you.